I was listening to James Brown sing “It’s A Man’s World” while trying to decide on adding to the gender bias thread stitched so well into TKZ posts throughout the previous week. But since my fellow blogmates so thoroughly covered the SinC vs. PW dust-up and the related Venus and Mars writing debate, I chose instead to talk about Balloon Boy. We all saw it on TV. The Jiffy Pop-shaped silver aircraft streaking over the Colorado landscape. It was mesmerizing watching the helicopters circled the makeshift flying machine like they were covering the arrival of visitors from another planet. The possibility of a 6-year-old boy being trapped inside with the chance that the craft might run out of air and crash or he could come tumbling out at any moment. And we would all witness him cartwheel through the air and slam into farmhouse tin roof or rusty 1950s Chevy pickup. It was drama at its finest. And no one could look away. If this had been a novel, it would have shot past Dan Brown on the bestseller list with millions lined up to get their copy. As writers, we would have all been asking the same question: Why didn’t I write that? And as readers, we would have been curled up in our beds well into the late night turning those pages as we devoured the story to find out what happened next. So what can we learn from Balloon Boy when it comes to writing novels? That his story had all the elements of a bestseller. Initially, there was an immediate grab with extreme danger: Breaking News! A young child’s life was hanging by a thread. Like any great thriller, there was a ticking clock—how long would the craft be able to stay up? Then there was a growing mystery: was the child even in the balloon? The event was ripe with emotion—anyone with children knows the sickening feeling of helplessness as they watched. After all, it could have been their kid. So we had danger, a young life at stake, time running out, mystery, and gut wrenching emotion. The protagonist was an innocent boy possibly frightened beyond belief and fighting for his life thousands of feet in the air—all in front of a captivated world. And he may only have minutes to live. Now we all know that for every great protagonist, there should be an equally evil antagonist. In this case, an unlikely character emerged—the boy’s father. As the story progressed after our heavy sigh of relief at finding that the child had been home and save the whole time, the spotlight shifted to the parents, particularly the father. We soon found that he deceived us and caused everyone undue emotional stress. He forced his child to go along with the scheme to fulfill his own personal ambition of securing a family reality show. He even called the local network affiliate to report the runaway balloon before he dialed 911! The mother was an equal co-conspirator willing to let the plan go forth with full knowledge of the deception. As fear for the child shifted to disgust for the parents and pity for the boy and his siblings, we were taken on a ride that saw our feelings shift from one grand emotion to another as distinctly as a color wheel spotlight shining on an old aluminum Christmas tree—fear, relief, suspicion, revulsion. The conspiracy started to unravel when Balloon Boy let it slip on a national morning interview that they did it for the “show”. The dedicated local sheriff started digging deeper and finally was able to pull back the façade and expose this despicable conspiracy for what it really was—a lie to capture the headlines and to make money even at the expense of a child. How does any great story end? The villains get caught and must face their just rewards. The parents have now pleaded guilty and may have to serve jail time. 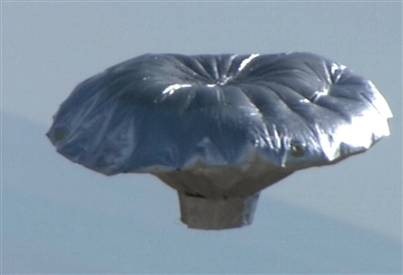 So what can we learn from Balloon Boy? That it was all there in plain view—the main ingredients for a solid, absorbing and captivating thriller. Boy, I wish I’d written that.